We’d love your help. Let us know what’s wrong with this preview of How To Make Webcomics by Brad Guigar. For years young, creative men and women have dreamed about making a living from their comic strips. But until recently their only avenue of success was through a syndicate or publisher. Now more and more cartoonists are doing it on their own and self-publishing their comic strips on the web. With the right amount of work, knowledge, and luck, so, too, can you. Scott Kurtz For years young, creative men and women have dreamed about making a living from their comic strips. But until recently their only avenue of success was through a syndicate or publisher. Now more and more cartoonists are doing it on their own and self-publishing their comic strips on the web. With the right amount of work, knowledge, and luck, so, too, can you. 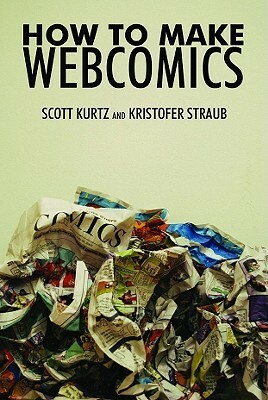 Scott Kurtz and Kristopher Straub offer their advice on how to create compelling characters, develop a solid comic strip, build a website, forge a community, and start earning money from your Webcomic without having to sell your soul. Written by the Eisner award winning cartoonist behind PVP, Scott Kurtz! To ask other readers questions about How To Make Webcomics, please sign up. First and most importantly, I believe the advice is solid. This book is written with the clear understanding that the web is a delivery medium, not a format or genre. I think the authors successfully navigate the balancing act between fundamental advice for the ages and relevant practical advice for the web as a platform. The advice on writing and drawing could be given to a newspaper cartoonist from 1970, the audience interaction advice could easily apply to a musician with a strong web presenc First and most importantly, I believe the advice is solid. This book is written with the clear understanding that the web is a delivery medium, not a format or genre. I think the authors successfully navigate the balancing act between fundamental advice for the ages and relevant practical advice for the web as a platform. The advice on writing and drawing could be given to a newspaper cartoonist from 1970, the audience interaction advice could easily apply to a musician with a strong web presence, and it's all with the flavor and attitude beneficial to any entrepreneur or freelancer. I also appreciate that it seeks to train and develop the cartoonist, not give a formula. Obviously, some of the advice is still dated to the point of obsolescence. The authors are usually pretty good at estimating the shelf life, and in my experience, you can usually use the dated suggestions as an example of one option, and pretty ably suss out what the more contemporary "version" of applying that principle is. The format is a little odd but it serves the book well. The four authors take turns at writing each chapter, with the other three chiming in with conversational asides and sidebar content as relevant and/or entertaining. This sometimes results into some sticky layout issues, but by and large it's more of an asset than a liability. I will admit that I can't deny a criticism I've read here about the book: You do have to get over some typos. I don't give a lot of five-star reviews, and I don't write webcomics. Nonetheless, I found this an incredibly useful book. I even quoted from How To Make Webcomics in Gary’s Guide to Successful Book Signings because the advice applies to anyone who creates books, comics, or poetry and handles their own marketing. The interplay between the four authors added a lot to the book, and the formatting kept all of the tips and asides right where they needed to be. If you write webcomics, read this book. I don't give a lot of five-star reviews, and I don't write webcomics. Nonetheless, I found this an incredibly useful book. I even quoted from How To Make Webcomics in Gary’s Guide to Successful Book Signings because the advice applies to anyone who creates books, comics, or poetry and handles their own marketing. It’s been three years. I can’t force myself to finish this before getting rid of it. Dear god. --Kris Straub, author of Starslip. I found How to Make Webcomics informative and entertaining, which made it enjoyable to read. Especially since the term "enjoyable" is something I normally don't associate with how-to manuals. The book is divided into 13 chapters covering: Your webcomic, your characters, formatting, image preparation, writing, website design, branding & building, interacting with audiences, monetizing your webcomic, books (print versions of your webcomic), conventions, next steps (once your webcomic is up & running), and final thoughts (on making your webcomic work). Past the final chapter is a section on Scott Kurtz's studio, to illustrate what a successful webcartoonist's work area looks like. The Additional Resources section contains two pages of reference material listed under the sub-categories of: Cartooning, artistic inspiration, web design and maintenance, and small business. Even though I've been writing Breakout from Bongolaan, at glacial speed, since 2008, I still consider myself a newbie when it comes to webcomics. Probably because Breakout's blog-style format isn't like typical webcomics. So reading How to Make Webcomics was fun and new to me, and therefore easy for me to give it a 5-star rating. The book has earned a 4.4 out of 5-star rating on Amazon. An overwhelming number of reviewers loved the book (39 x 5-stars, 9 x 4-stars). Five raters, some claiming to be experienced in business or art, thought How to Make Webcomics was okay (3-star ratings), but consider various aspects of the book to be vague. Another feels this was too focused on 4-panel humor strips. The 2-star rater doesn't think webcomics to be true art forms and being self published means one isn't a serious writer. Of the 2 x 1-star ratings, one can be considered a throw-away. Mr. Throw-away claims he can't rate the book because he gave it to his brother. This begs the question: Why post anything at all? There are some who try to torpedo a book's rating with a bad review. The lower a book's rating becomes, the less visibility it gets, based on Amazon's algorithms. (And thereby maybe elevating their own book?). I certainly don't know what the motivation behind this low rating is, but no other reason makes sense to me. The second 1-star rating is more extensive and generated four comments, along with 28 out of 47 browsers who found his (her?) review helpful. In a nutshell he considers the authors' business model to be "...unprofessional and unreliable...," backed up by "...shaky, or non-existent "...key data." Apparently, this person has also has exchanged some virtual volleys with the authors, and consider them the "...most pugnacious authors since Norman Mailer was throwing punches at cocktail parties." Now, I'm no sketch artist, and my business acumen equals the square root of zero. But I love comics, both print and web variety, so I don't care whether they're "true art" or not. I'm sticking with my 5-star rating. I enjoyed the book and didn't think their business advice to be pie-in-the-sky. Not even a slice. In fact, the authors warn that if you want to get rich, then find something else to do. I've heard similar recommendations in all the writing workshops I've attended. Basically: Don't quit your day job, until the income from your writing meets, or better yet, exceeds that of your current salary. This book fills a fairly unique niche: there are lots of books which give advice on writing/drawing comics, but this is much more about the logistics of running a webcomic as a business. Personally, I just make my own comics as a hobby, and I don't intend to do it for a living, but I'm interested to see how other people handle it. For instance, if you get your comic published, where are you going to store the books until they're sold? As Dave Kellett says, "A batch of books have the charm of bot This book fills a fairly unique niche: there are lots of books which give advice on writing/drawing comics, but this is much more about the logistics of running a webcomic as a business. Personally, I just make my own comics as a hobby, and I don't intend to do it for a living, but I'm interested to see how other people handle it. For instance, if you get your comic published, where are you going to store the books until they're sold? As Dave Kellett says, "A batch of books have the charm of both weighing a lot, and yet managing to be constructed of the flimsiest material on earth." (On a related note, David Willis from Shortpacked! posted a photo of a literal ton of books.) So, there's a lot of good advice in this book, which I haven't seen anywhere else, and I recommend reading it if you have any interest in the subject. On the downside, there are quite a few typos, including one which changes the meaning of the sentence! This book was written in 2008, and some bits seem a bit dated now. For instance, they recommend using Myspace but don't mention tablet devices. They also suggest that fewer people use the internet at weekends (compared to weekdays), but I suspect that most people either have internet access at home or get it through a mobile phone contract. (According to the BBC, there was a big peak in people visiting UK retailers' websites on Boxing Day 2012, i.e. a bank holiday.) Similarly, in chapter 9 they talk about getting pre-orders for merchandise. However, they don't mention crowdfunding, e.g. Kickstarter. I mostly liked this book for the artistic insights and reasonings behind webcomics. Two of the four authors are webcomic creators whose work I follow regularly, and it was fun seeing them interact and teach what they have learned. 1) Sloppy editing. Typos left and right in the book made it so that I had to do a lot of re-reading to make sure I was understanding what wa I mostly liked this book for the artistic insights and reasonings behind webcomics. Two of the four authors are webcomic creators whose work I follow regularly, and it was fun seeing them interact and teach what they have learned. 1) Sloppy editing. Typos left and right in the book made it so that I had to do a lot of re-reading to make sure I was understanding what was being said. Simple revision could have cleared most of this up. 2) Some of the business practices they push so hard are not practiced by all of the authors. I would find the book more convincing if I knew, for example, that (at the time of the book's writing, at least) ALL of the authors really did strive to get their strips out on time, as they adamantly urge the reader to do. In the end, though, I recognize that these guys obviously know more than I do about being successful in webcomics, and I'm glad to have the tool handy in case I ever do decide to take a crack at the medium. I LOVE THIS BOOK! It was reccommended by Goodreads and I decided to reserve it at my local library and give it a read. Surprisingly it felt a lot more than a book. While reading, it felt that I was sitting with each of them or all of them in either a restaurant or the park, while they are explaining each part of the book. The concept of how each of the artists had a chapter to talk about each section of about web-comic was awesome. Also I loved the quotes that were revealed in some of the pages. This is an essential read if you are remotely interested in making a webcomic. When Phil and I got this book, we sort of had an idea of what we wanted to do. Within a week of reading it, Brax was up and running. 3 years later we are still going strong and we just published our first book. We owe pretty much all of it to the practical advice and the encouragement this book and its authors provide. I've been listening to the (now-defunct) Webcomics Weekly podcast for years and the hosts' humour and camaraderie comes through very nicely in book-form. I'm not planning on starting my own webcomic, but many of the lessons are applicable to anyone considering starting a small business, and the ones that aren't are interesting and amusingly presented. This book is full of information and has really been helpful. It doesn't spend much time addressing the art creation end of things. Instead it focuses more on how to do everything after you've actually created your strip. I find myself looking to this book repeatedly for reference. I've taken this book out from the library, and it looks like a fantastic resource. I am not yet at a stage where I could produce web comics though, so I will have to come back to it. For now I will have to stick with my dummy books about how to start drawing comics first. quite a bit. lots of confirmations, as well. fun read. simply put. but…needs to be re-edited. Very detailed information on what to do from ever aspect of the publication of webcomics. Useful for any regular, community-based endeavor. Technical and inspiring. Some of it is necessarily out of date, but it is still full of lots of really important things to think about and to do. Great beginner's guide to making comics! Webcomics pioneer Brad Guigar has been doing a daily comic strip since February 2000. Tens of thousands read Evil Inc every day on the Web and in newspapers. He has published over a dozen printed collections of his work, and he has been nominated for an Eisner award — the top honor in the comics industry. And he does it without a syndicate. Without a publisher. And without an editor. Guigar runs th Webcomics pioneer Brad Guigar has been doing a daily comic strip since February 2000. Tens of thousands read Evil Inc every day on the Web and in newspapers. He has published over a dozen printed collections of his work, and he has been nominated for an Eisner award — the top honor in the comics industry. And he does it without a syndicate. Without a publisher. And without an editor. His podcasts include Surviving Creativity, Webcomics Weekly, Webcomics Confidential and Hey Comics — Kids! 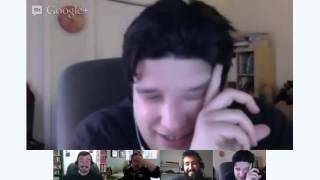 (a podcast he records with his two boys on their drive to school). Guigar is an adjunct professor at Hussian School of Art, teaching Arts Entrepreneurship and Sequential Art. Guigar is available for freelance illustration projects — including children's book illustration, superhero-themed illustrations and corporate work.